Ronni Harris is now working with the Astoria Downtown Historic District Association as their Community Outreach Officer. Ronni’s duties include providing information and direction to visitors in downtown Astoria as well as parking enforcement within the district. Ronni has been living in Astoria for over a decade and was a fixture at Sunday Market for twelve years. 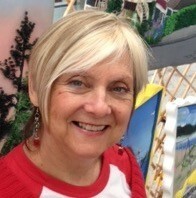 Now semi-retired, Ronni has been a professional artist selling her artwork from the Pacific Northwest to the Caribbean. You may recognize some of her quilted paintings, or perhaps your favorite corner of Astoria envisioned on tile. In 2016, at the City of Astoria’s request, ADHDA entered into an agreement to hire an employee to manage parking within the district. The downtown parking district was established in 1988 and is from roughly 8th Street to 15th Street and from the Riverwalk to Exchange. 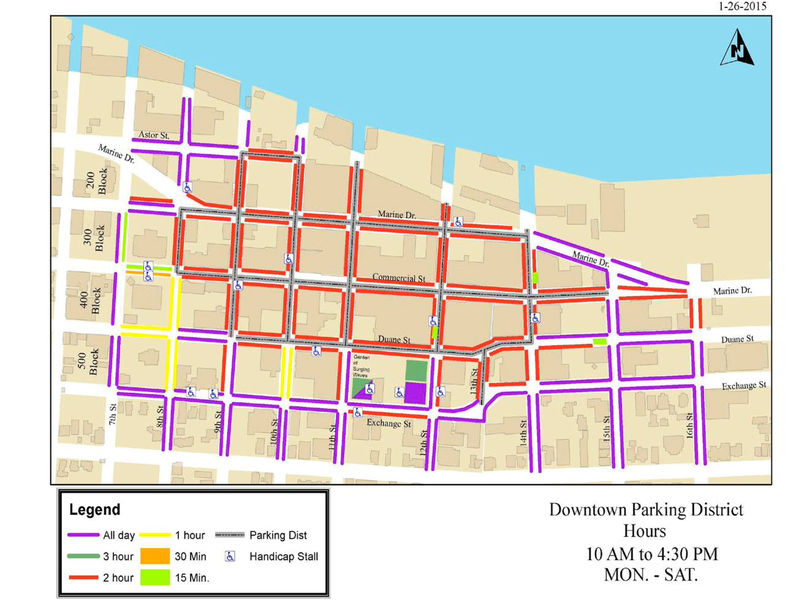 (Parking district map ) The purpose of establishing the parking district in the downtown core is to manage on-street parking more efficiently, ensure available parking for customers, clients and other visitors and to preserve the downtown as a viable business and service district. The ADHDA is also working with the City of Astoria to develop a Parking Master Plan, and to conduct an inventory of the private parking spaces in the district. Together, we will create a plan to better and more efficiently use the parking available downtown. For more information or to volunteer for ADHDA, please contact Sarah Lu Heath, Executive Director at sarah@astoriadowntown.com or call 503-791-7940.